Weekly 40-Watt #10: Devinyl Splits Vol. 2 — Sorry, Internet. We did the first volume of the series in 2015 spilling into 2016. The six splits included in that volume included Kevin teaming up with Matthew Caws, Meredith Graves, Tigers Jaw, Cymbals Eat Guitars, Owen and Jesse Lacey. Releasing the series was an adventure in logistical planning at first — we offered a subscription service where BTR would mail you one 7” every other month for the full year, and it required a lot of planning to ensure that the records and the other special items offered for subscribers would get where they needed to go without us losing money on the shipping portion of the equation. Aside from the up-front work for that installment, each individual 7” is a pretty simple release, even by our relatively laid-back standard at BTR. We announce Kevin’s partner for the split the day before we put the partner’s song up for streaming and launch pre-orders for non-subscribers to snag their copies. Usually, this is only about 3-4 weeks before the release date for this given split. A couple weeks later we stream Kevin’s song, then ship the copies (usually on time). Zack deals with most of the particulars ensuring we get songs from Kevin and partners on time and making sure our dear friend Matt has the art put together on time as well, while I handle most of the particulars for our webstore, YouTube, etc. Much was the same for the second volume of the split series. Again, it’s a chunk of work up top — but having worked with Run For Cover Records as our shipping fulfillment for the past few years now made that planning easier this time. With the final installment of Devinyl Splits Vol. 2 now announced and releasing on March 29, I’m happily looking back on the collection of six (actually, accidentally seven) splits that made up this volume of the series. First off, it’s still so weird to type some of these names. That this little label has now released music from David Bazan, John K. Samson and The Front Bottoms is a weird mind-bend for me. It’s a testament to the mutual respect Kevin has been demonstrate for others and garner for himself through more than 15 years of touring and releasing music more than anything, and perhaps proof-positive for my theory that no one can talk to Kevin for longer than 5 or 10 minutes before cracking a smile and wanting to sit down with him to continue that conversation for hours. There are several highlights on this volume of the series, but I want to mention three of my favorite contributions from Kevin and three of my favorite contributions from the partners for this blog. The easiest way to check out all the splits right now is via Kevin’s artist page on Apple Music, but we’ll put up a compilation of all 12 tracks on one release soon. This one takes the slot reserved for “No One Says You Have To” from Devinyl Splits No. 5 in the first installment of the series for me. I generally tend to lean toward preferring Kevin’s louder work with his Goddamn Band when I’m listening to his music at home or at work, but would choose to see him perform solo rather than with the band if I was forced to pick. Kevin on stage by himself is a clinic in using space, distance and intense emotion; if the old saying goes that music is the space between the notes, Kevin performing solo with an acoustic guitar and a microphone is near-flawless music. My favorite contribution on this installment from one of the split partners is Petal’s reserved cover of Tom Petty’s “You Got Lucky.” I feel like Petty is a great artist to cover, as his career offered so many awesome singles that run a decent gamut of musical styles. Petal’s take on the track offers just a single electric guitar backing a true jaw-dropping vocal performance from Kiley Lotz. Her vocals are granted the space to reverberate on the track, and the cover blew me away when we first heard it. This track has gotten more than double the number of plays than any other song from the entire Devinyl Splits series on my iTunes. This split was put together on the fly because we knew we were going to miss the promised release date for Devinyl Splits No. 8 by a good margin, and we knew we were in bad shape for a couple of later releases on the schedule we had set as well. With Kevin’s help, we put together a digital-only release that originally included four artists, but was later culled to be more along the lines of the rest of the series with Kevin and one partner. That the partner was Worriers, a band I was just getting into at the time via their album Survival Pop, and that Worriers delivered a fully fleshed new track out of their back pockets, made this Unplanned split all the more satisfying as a way to navigate some timeline issues. I like most Cavetown songs I hear, though I don’t find myself seeking it out often — I think I’m not necessarily the target demo for Robin’s music. But I’ve been really interested in keeping up with Cavetown’s career (Zack manages him, so I hear updates with regularity), and was happy for him to be involved in this series. This track is a new version of an old track that has become a fan favorite. It’s got a ton of these little details that make me smile when I hear it — the little guitar lick while he’s humming between the 25- and 45-second marks, the way the drums come in like they’re gonna be hot but then chill out, the xylophone(?) stuff near 3:50, and the way Robin finishes the song a little louder. This kid is only like 19 years old and on this one track he does like seven things that are just really fun, original slices of pop songwriting and studio song crafting. It’s a trip. We thought The Front Bottoms would be included on the first installment of the series, but time constraints back then caused us to move them out to this volume. It was worth the wait! The Front Bottoms do Kevin’s “Just Stay” while Kevin does TFB’s “Rhode Island.” The Front Bottoms are featured on Kevin’s cover and Kevin is featured on their cover. In most every way, this split personifies what I wish there was much more of in the general indie rock community — artists collaborating with each other in the studio for quick and dirty releases. It’s far more common in hip-hop than in rock music, generally speaking, but it’s just so damn fun that I wish we had a lot more of it (there have been some strong examples of it in this genre recently, though, like the surprise Better Oblivion Community Center full-length). 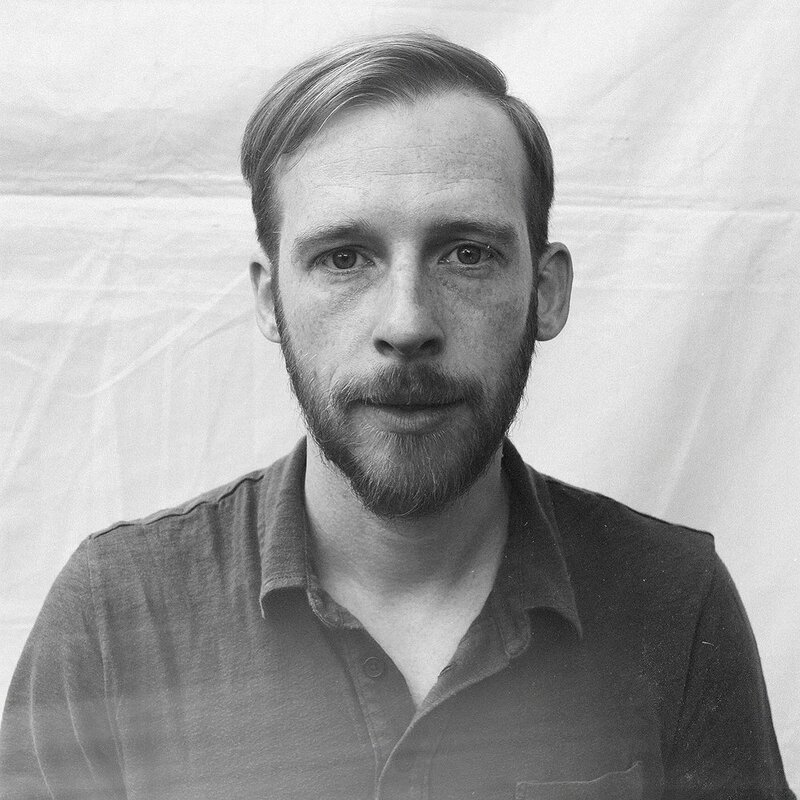 That BTR was able to help this collaboration happen is something I’ll forever be happy for, and in talking about the multitude of Kevin Devine releases that I was honored to play a part in releasing, this one will be mentioned amongst the first breath. The covers are loud and a little raucous and perfect.